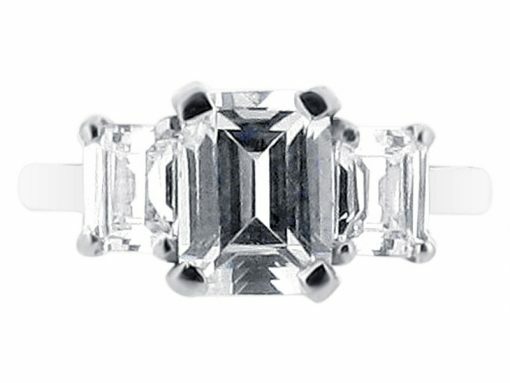 Emerald cut diamond trilogy ring. For lovers of step cut diamonds, this style can’t get much better. 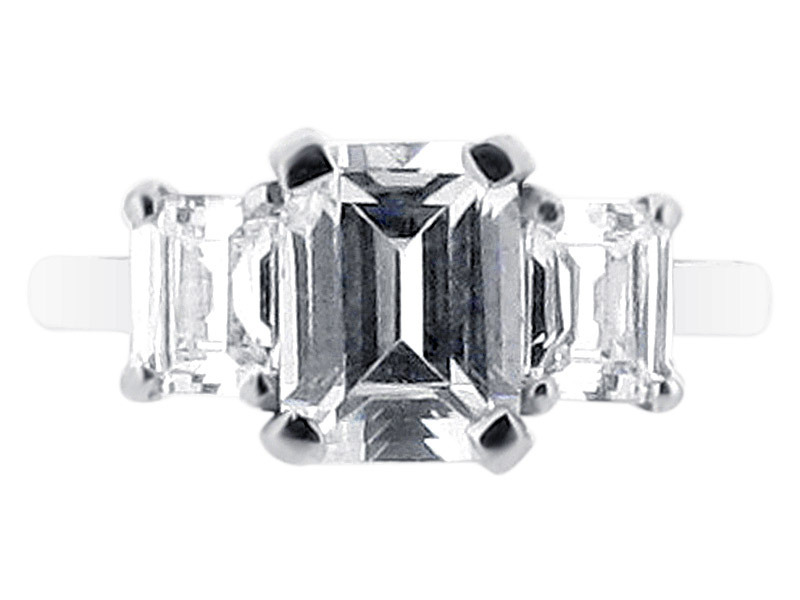 The emerald cut diamond remains a true ambassador for the Art Deco era. This style showcases not one but a trilogy of beautiful emerald cut diamonds. Completed by a simple, plain band, this style exudes charm and elegance and makes for the perfect engagement ring. At Voltaire Diamonds we have a large selection of engagement rings accompanied by diamond grading reports from GIA, IGI, and HRD. We would be delighted to meet with you at our offices just off Grafton Street in Dublin 2. Make an appointment to visit us and start the journey to your dream ring.